Ask fellow campers about "Fort McAllister State Park" and nearby attractions. Fabulous place. Driving through the marsh to get to the campground. Pull-through side. Stayed one night. Deers in the area. Saw majestic birds as well as little crabs near the marsh. Marsh smells a bit like ocean. 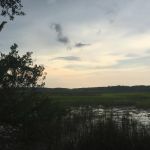 We camped at Fort McAllister State Park in a Travel Trailer. We stopped here last April for one night passing through and decided to return for a longer stay. We love the park, almost all of the sites are pull-through. They are not site specific for reserving, but once you arrive you check in, they give you your packet, you select your site and put your name on the post. It was very wet after much rain but still love the spaciousness of the sites. It appears they took a hit from hurricane Irma since our previous stay, with many trees downed and being "cleaned up." Did not deter us or dampen our spirits. Visited the Fort which was a huge bonus! This is one of our favorites! We camped at Fort McAllister State Park in a Travel Trailer. Be sure to tour the Fort! This was a pleasant park to stay at, outside Savannah. We would have liked to be closer to the city, but no other, closer campgrounds had sites available. We camped at Fort McAllister State Park in a Travel Trailer. This is a smashing location over looking the salt marshes and alive with deer and raccoons. The trees are huge and slow the breezes. The museum and fort are exceptionally well done and deserve a full visit...five stars here! The only problem is that the weekends will have been booked up to 13 months ahead, consequently you will likely get kicked out on a Friday. We camped at Fort McAllister State Park in a Travel Trailer. Took a trip down toward Sapelo Island to see the Gullah-Gallee on the way to Darien. Very interesting and great spots for lunch in Darien...Fish House eg. Recovering from storm damage. A lot of trees missing. Campsites seem smaller than before. Very few sites we could use with a 39 ft. 5th wheel. Feel it is a bit pricey for just water and 30 amp power. No cable which most are poor and no wi-fi. Worst thing is insects. Have been told insects are terrible in the summer. We were there in Feb. and the insects were terrible. The entrance is gated which is good. Overall it's a state park and not bad. All sites are packed dirt which is O.K. This was our 4th time since 2005. Will probably go back again. 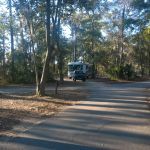 We camped at Fort McAllister State Park in a Fifth Wheel. Fort McAllister is located near Richmond Hill, Georgia about 20 miles or so south of Savannah. It is perhaps 15 miles off of I-95 so very quiet and remote. The campground itself is at the end of a long causeway. The sites are mostly very large with many pull throughs and generally level. They are rustic and it would be difficult to find your way at night as it is not clear where the edges of the sites are or the driveway in. Some of the roads in have tight turns and might be difficult for large rigs though there certainly are large rigs here. The restrooms are clean but very dated. They are in definite need of refurbishment. The causeway is also very rough - not so bad for the RV but very rough for bike riding. This is a tough place to be without a car as it is very remote and difficult to get far on a bike. There are no bike paths here. The tent sites here look very nice - spacious and all with raised platforms for pitching the tent and plenty of space for parking a couple of cars. There are plenty of camp hosts here and they are friendly and helpful. We camped at Fort McAllister State Park in a Motorhome. Fort McAllister Basics: Roads paved but a bit rough in spots. Sites for rv's are mostly pull throughs on packed sand and are pretty level with water and 30 amp service. Dump station is on the way out and if you want to fill your fresh water tank do it at your site. Bathrooms are dated but were clean with good hot water and pressure. A Gate code needed to get into the park. They have no Wifi but Verizon Phone and Mifi worked well. There is a high level of racoon activity so you really have to make sure you leave no garbage or food about or the fuzzy bandits will clean you out. A note on the $15/day. The base rate was $32/day. They gave me a 20% senior discount, 3.75% for being a retired FF and this winter they had a 50% discount for just coming out and using the camping at the park. Check the Ga. State Parks website for the promotion code. This was a nice quiet island site surrounded by tidal marsh. There is an additional charge to go see the Fort and museum. If we are in the area again we will stay here again. We camped at Fort McAllister State Park in a Motorhome. Nice park, but lots of bugs - seemed like the gnat type, and when they swarmed they were everywhere. Our site was ok for our 45' rig pulled by an HDT, but driving through the campground to find our spot was kind of tight. There were a couple of turns that we couldn't make. While they advertise that all spots are 50', you may have trouble if your total length with a 5th wheel is 65' or more (like us), although height didn't seem to be much of an issue. There are several spots we would have fit in, but since it's first-come first-served you could be in a pickle if it's full or you don't get there early. There are a LOT of trees and curves - DON'T do this one in the dark if you're not small and familiar with it! At least you don't have to worry about people racing through the campground - the dirt roads are not in any condition for speed, so it's pretty quiet and calm. Also, the town is about 12 miles away, so you are fairly remote. The fort is fun and very educational, very much worth your time. We camped at Fort McAllister State Park in a Fifth Wheel. Richmond Hill is fairly close and has everything you'd need including many choices for dining and shopping. There's a Goodwill across the street from the Post Office - great if you're a full-timer still divesting. La Nopalera has good carnitas - one of our favorites because it's usually excellent and the leftovers make a good sandwich or second meal. Not much shade as the last hurricane took out over 300 trees. All sites are pull through, but careful, the majority are not big enough for rigs over 30 feet. Sites are pretty sandy and be sure to bring bug repellent for gnats and horseflies. Staff is friendly, but this park needs a big hug. Quite surprising for Georgia that has among the best parks in the country. We camped at Fort McAllister State Park in a Motorhome. If you don't have a GA park pass, count on adding another $5.00 to the fee (one-time charge, but if you stay just one night, that's a hefty total of $37.00). 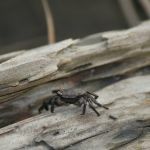 The campground is located on an island in salt marshes south of Savannah, not too far off of I-95. Be sure to have bug spray handy for everything from flies to mosquitoes to ticks. The comfort station close to me was closed so I did not get a chance to check out the condition. It looks like laundry machines are available there, though. OTA TV signal good, Verizon signal came through, but slow. 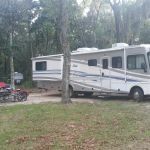 We camped at Fort McAllister State Park in a Motorhome. We stayed here for 2 nights while visiting the Savanah area. Didn't spend a ton of time at the campground. Lots of hurricane damage that was mostly cleaned up, but some areas of the park are still closed. We got a pull through site and had plenty of room. Campground was quiet while we were there. We made a reservation, but reservations are not for a specific site. You just pick a site when you get there. Also, you cannot enter the park to check in after 10pm. We didn't know this, but we adjusted and spent the night at Cracker Barrel. The campground credited us one night on our reservation and let us check in at 9am the next morning, which I was surprised with. The policies seemed a bit odd, but didn't impact us too much. We visited the historic fort and the visitor center before we left. Was enough to spend about an hour, as there isn't too much to it, especially in the off season. We camped at Fort McAllister State Park in a Fifth Wheel. Stayed here over Thanksgiving week. We had water and 30amp electric but no sewer. They do have a dump station. Nice campground but many many trees down in some sections from Hurricane Matthew. The good news on that was we were able to get a Satellite signal with our little tailgater Dish. Cellphone service for Verizon was very weak even with the RV antenna/booster. No problem navigating through the campground with a 31 ft Class A. Campground is surrounded by salt marsh and water ways; and is located about half a mile from the Fort. Their is also a boat ramp located at the far end of the campground. Bathrooms are ok but only one shower. They are heated though. Sites are fairly level and are pull throughs. Their tent sites are very nice. They have a raised bed of sand for setting your tent on so rain will not drench the bottom of your tent. Kind of like a large sandbox. We camped at Fort McAllister State Park in a Motorhome. The Fort and Museum are very nice and well worth visiting. Downtown Savannah is only 30 minutes away. We have stayed in a lot of state parks on this trip and this was a favorite. Nice sites and the river nearby. Two laundry facilities but the washer in one was broken and the dryer in the other. Made it work but luckily we had our bikes to go back and forth. We are in a van camper conversion. There isn't a choice of that selection here so the classification I picked of motor home isn't quite accurate. We camped at Fort McAllister State Park in a Motorhome. The ranger tour of the fort is informative and the little museum is worth your time. We also enjoyed the campfire visit hosted by the ranger. Do your grocery shopping on the way in...a little bit of a hike back to Publix. They sell gnat spray in the office; it works for the horse flies too. The town of Richmond Hill has every kind of stores and restaurants and it's a nice little town. Don't miss the Fish Tales restaurant, five minutes by car from the campsites, featuring fresh-off-the-boat shrimp, oysters and fish. Porch-type swings throughout the park make for some lovely quiet time at the banks of the river. Savannah is easily available only 35-40 minutes away. The little town of Richmond Hill had everything you needed and there was a GREAT little seafood restaurant called Fish Tails just outside the park and right on the river. You will pass by a little restaurant on your way in. (Can't remember name, it's right on the water.) Great place. We received our food and drinks fast and hot. Great service. It is about a forty five minute drive into Savannah so a good spot to stay while visiting the historic city. All the shopping you would need is in Richmond Hill where the park is located. Fish Tales at the marina just up the road is a good bet for a cold one and food. A new place, Melody's next to CVS on US-17, has just opened. We stopped for a drink and talked with the new owners. They are gearing the place for families and seem to be picking up a good following. Are you affiliated with Fort McAllister State Park ?